So its someone else's turn to give some stuff away. The Exiles Wargames Painter Blog is celebrating a 3 year anniversary. If you can do poetry you are really in as that gives you five extra shots in the drawing for the prizes. This one is going on for two weeks so you have some time to work on your poetry. 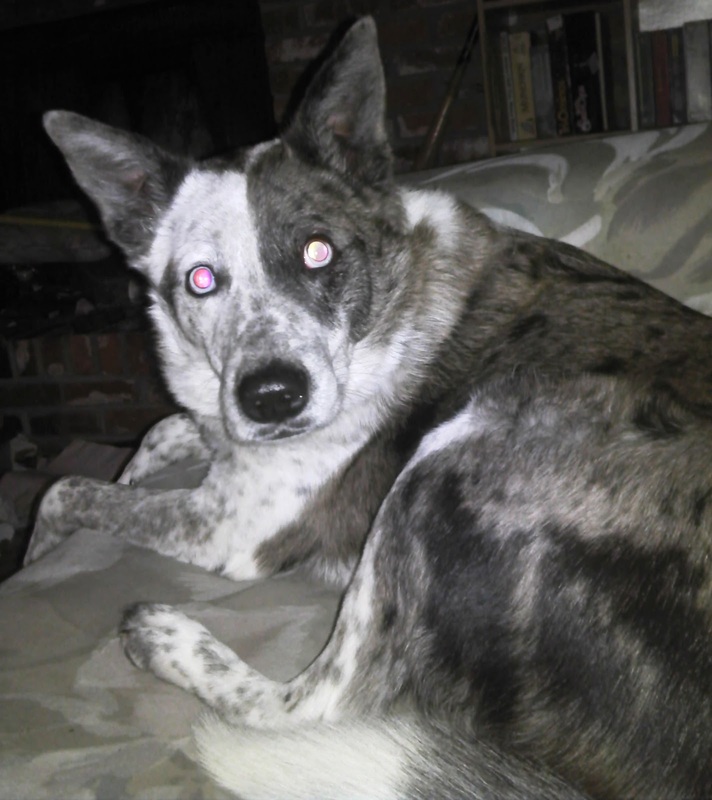 I will also check profiles and if you have contact information there I will try and get a hold of you that way. Here are the winners as selected by Sadie and Hobbes (they stared hard at the computer screen, Hobbes' paws are just to big to work a keyboard and Sadie is a bit of an energizer bunny). Yep, this is it. The final day to sign up for fabulous prizes! Just head over to my birthday giveaway post, sign up as a follower (there is that cult thing again) and leave a comment telling me which prizes you are interested in trying to win. 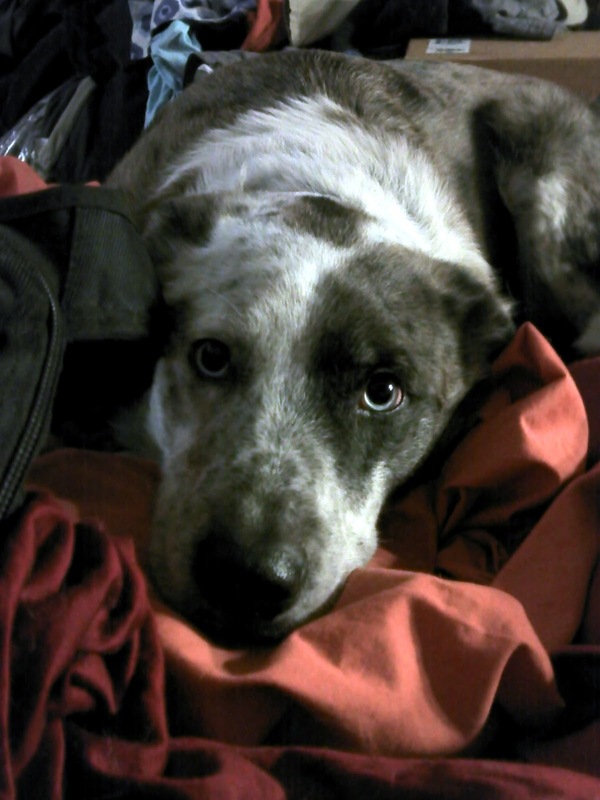 I'm trying to think of some suitably random way to pick winners, maybe I'll let Sadie and Hobbies pick. 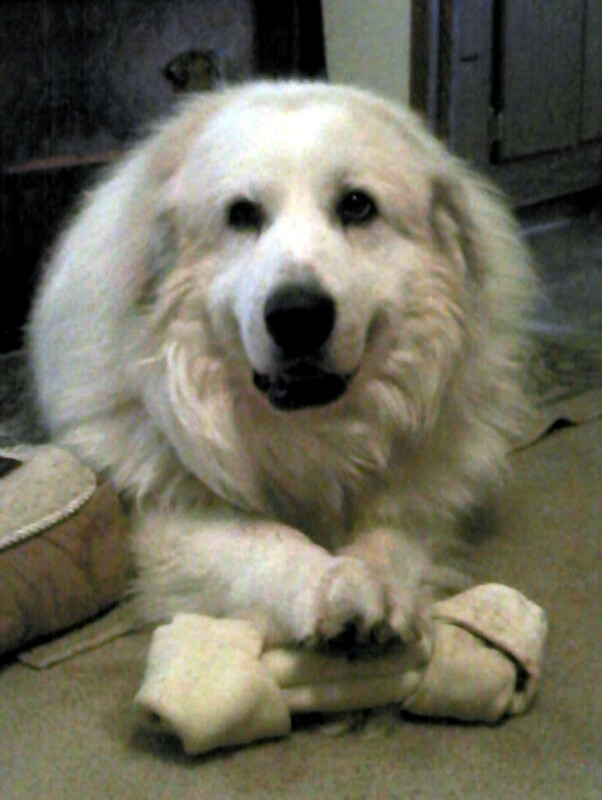 They can be bribed with bones. Memorial Day festivities started early in Ft Collins. This year Ft Collins is featuring a traveling version of the Vietnam War Memorial, also known as the wall. Inscribed on the wall are the 58,000+ casualties of the war. Vietnam Vets and their families are heavily represented. The Wall has been set up in the park just to the north of the Veterans Plaza of Northern Colorado. Let us take a moment to remember those that have served, continue to serve and those who sacrificed their lives for our freedoms. Pictures are always more poignant than words. A special place for me, my father was a Marine and still with us. Okay, the traveling version is not made of marble! Readers' Tent. Calling the role. A section of the wall. Someone left a photograph, bringing a face to the name. Tony Harwood, the owner of Dampf's Modelling Page has announced that he has finished his book on building wargame terrain. 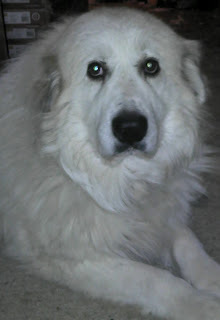 If you are interested head on over to his blog and make sure you leave a comment to the affect. He's trying to gauge the interest in the book before he goes to press. 1) Reaper Mouslings: Two of these are currently in production 3577 Asiago Jones and 3576 Lara Craft. The third I can't find so I think he is the Convention Mousling from 2011. All I can tell you is he is wearing a badge. 2) And now a book: The Southern Pacific in Los Angeles. 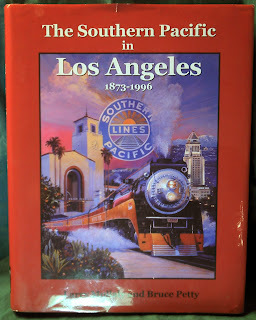 I had picked this up thinking that it would have some information on the ATSF Warehouse district. 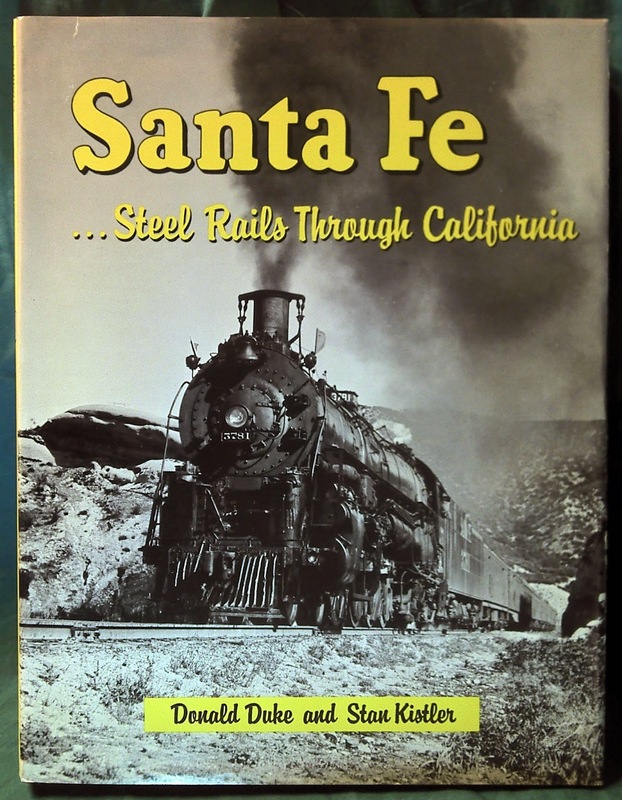 There were a couple of references to the ATSF in the book but not what I had hoped for. 3) McVey Studios - Vianna. 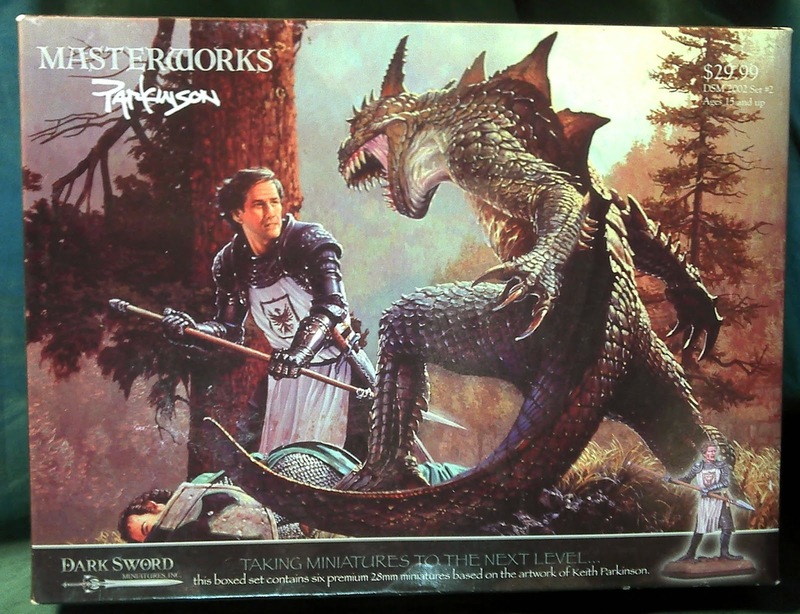 I bought this one when it first came out and set it aside, the detail is so fine that it kind of scared me. Later Marike Reimer won the first Crystal Brush with this piece and I bought it again forgetting that I already had it. 4) Sante Fe...Steel Rails Through California, quite frankly I'm not sure where or when I picked this one up but it doesn't cover the area I'm interested in! 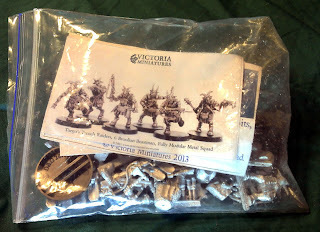 5) Victoria Lamb Miniatures Torgo's Trench Raiders. I love Victoria Lamb's work and I just picked these up from her when she came down to Texas after ReaperCon. 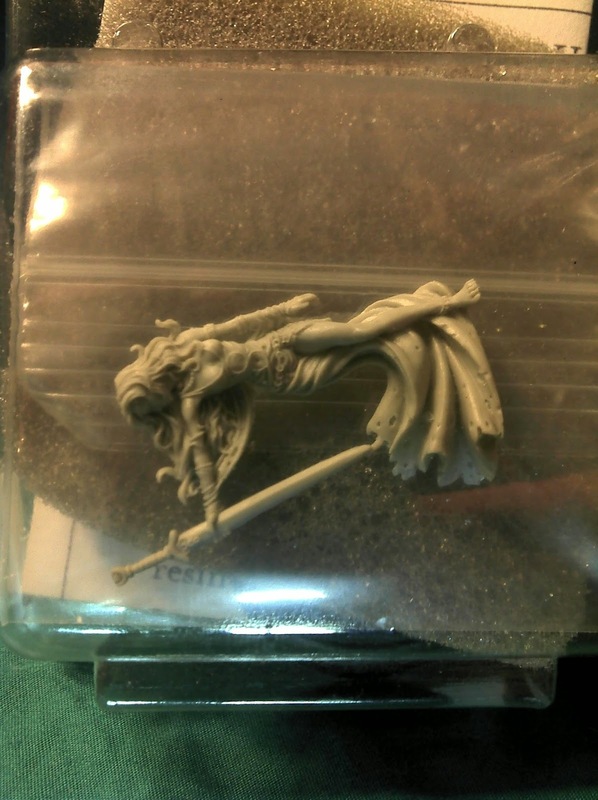 If they had been her Imperial Guard minis I would have kept them but I can't think of anything I'm going to do with them. Hopefully somebody can use these beautiful pieces. She does great work. 6) Another book! 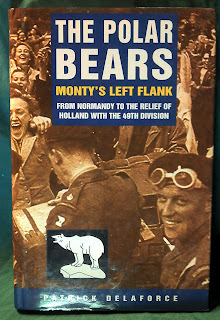 The Polar Bears: Monty's Left Flank, Patrick Delaforce. Somehow along the line I managed to pick up two copies of this one. 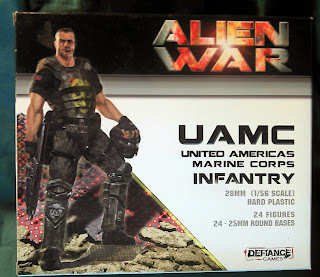 7) Defiance Games UAMC Infantry. 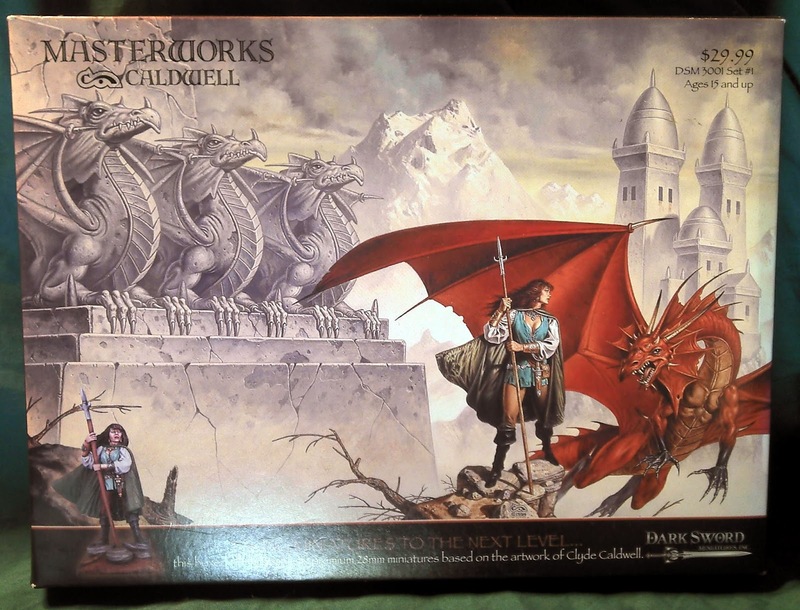 When this hit the market I was very excited about it because I was thinking about doing Traveller in 28mm. I have since changed my mind and have gone to 15mm instead. So these are surplus. 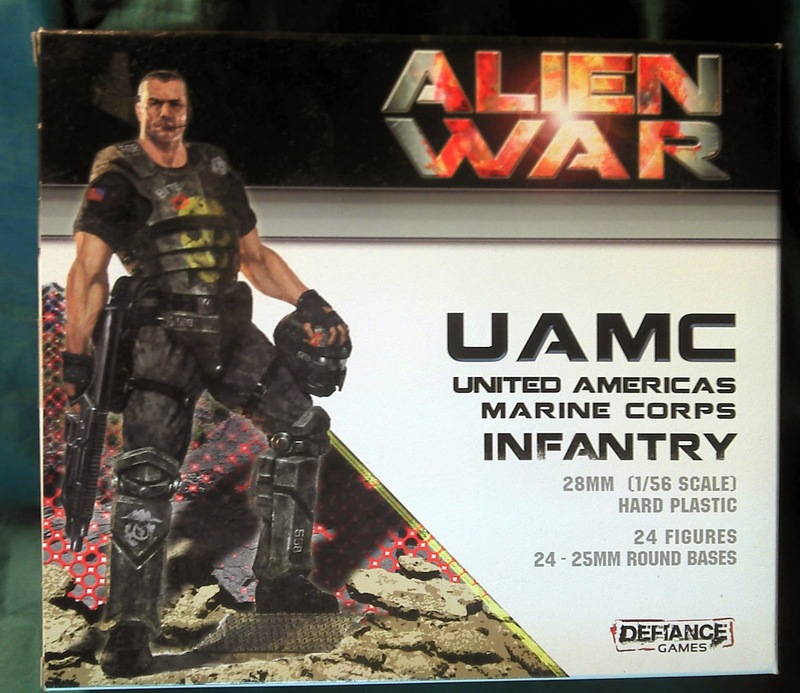 And no I never received the special edition Marine Sgt that was supposed to be shipped because I pre-ordered it. 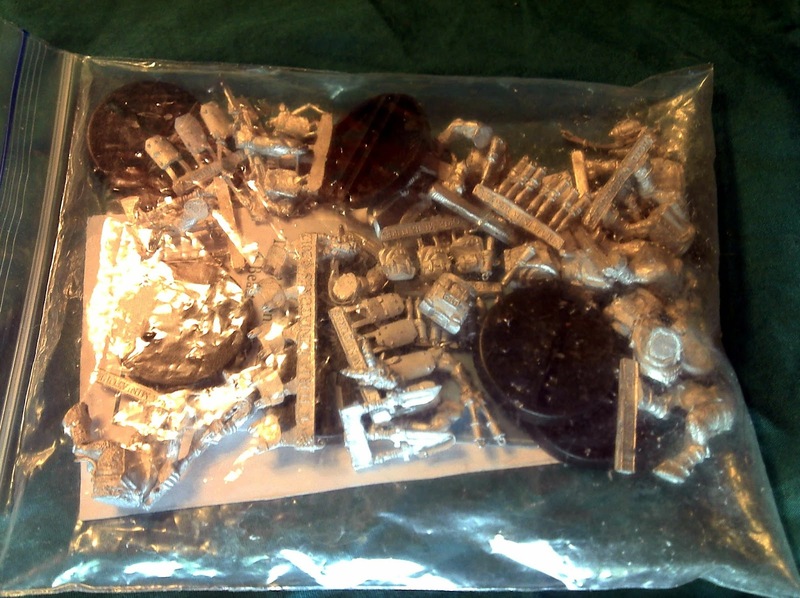 8) Okay, something a little different for the model railroaders. An Exact Rail, Platinum Series Southern Pacific 62' Insulated Box Car in HO Scale. I bought this for my ATSF Warehouse District without paying attention to the length and its a bit to long for the layout. It won't make the curve in the brick canyon I have planned. 9) From Dark Sword Miniatures a Keith Parkinson MAsterworks Box DSM 2002. 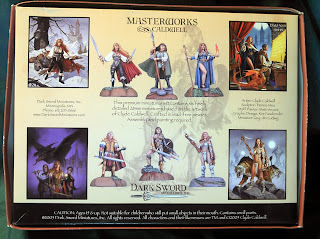 I have intended to paint these for years but the sculpts just don't appeal to me. 10) And now another Exact Rail, Platinum Series 62' Insulated Box Car for the D&RGW in HO Scale. 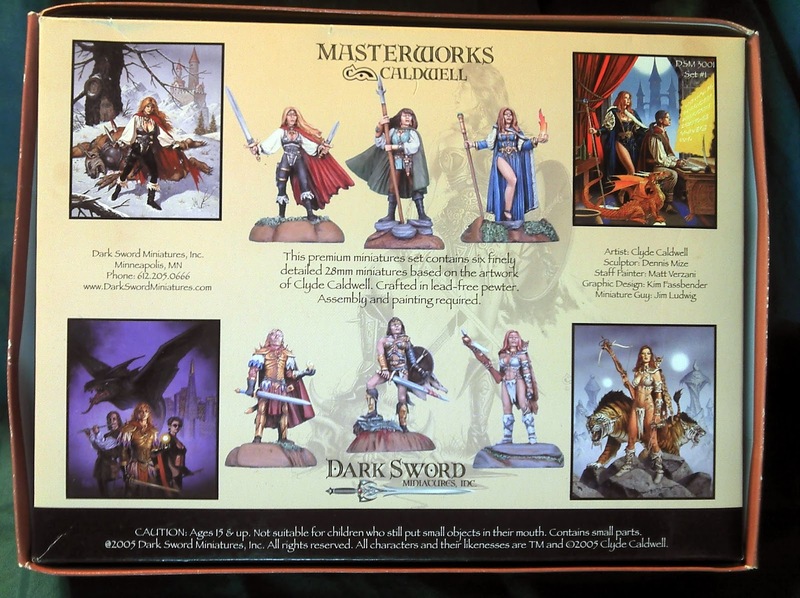 11) The last item up is another Dark Sword Miniatures Caldwell DSM 3001. Again something I intended to paint but the sculpts don't appeal to me. Maybe they will appeal to someone else. 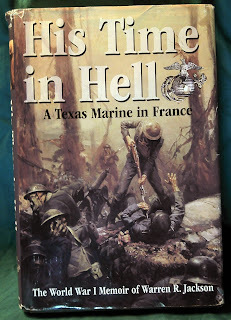 "His Time in Hell, A Texas Marine in France". 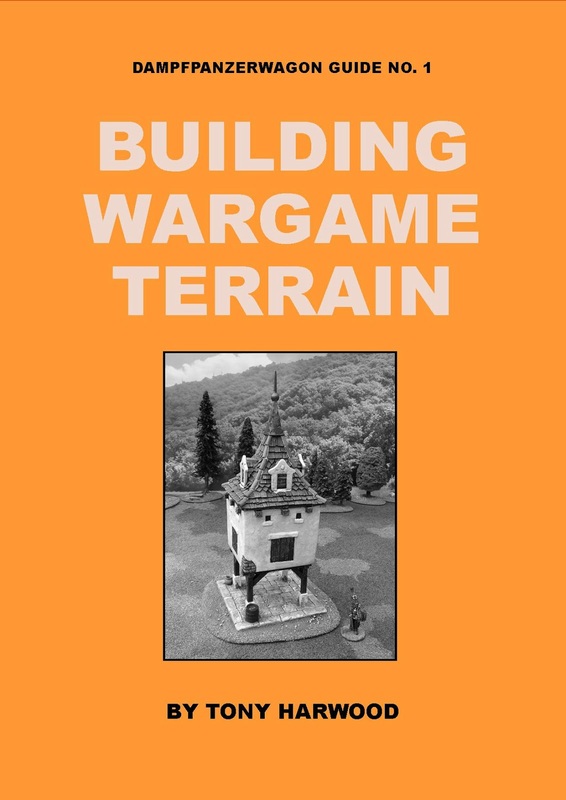 The World War I memoir of Warren R Jackson. 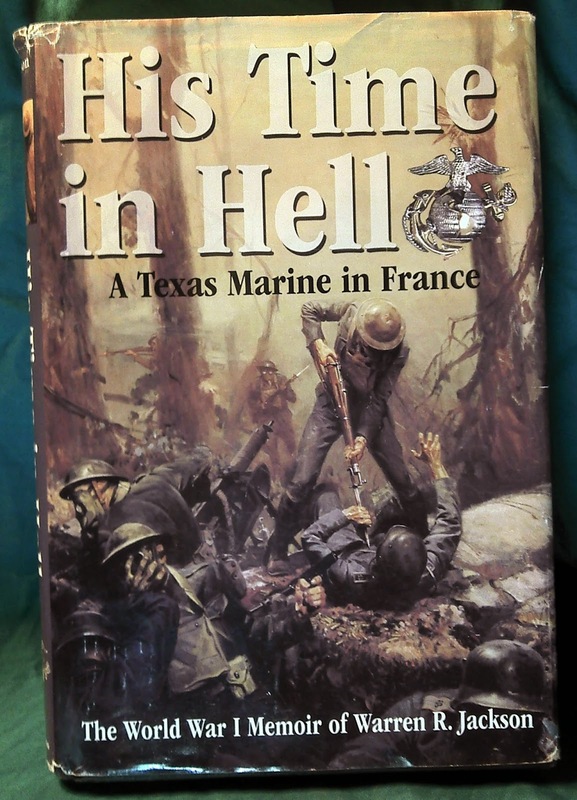 He fought from Verdun through Belleau Wood to the end of the War as part of the 6th Marine Regiment. 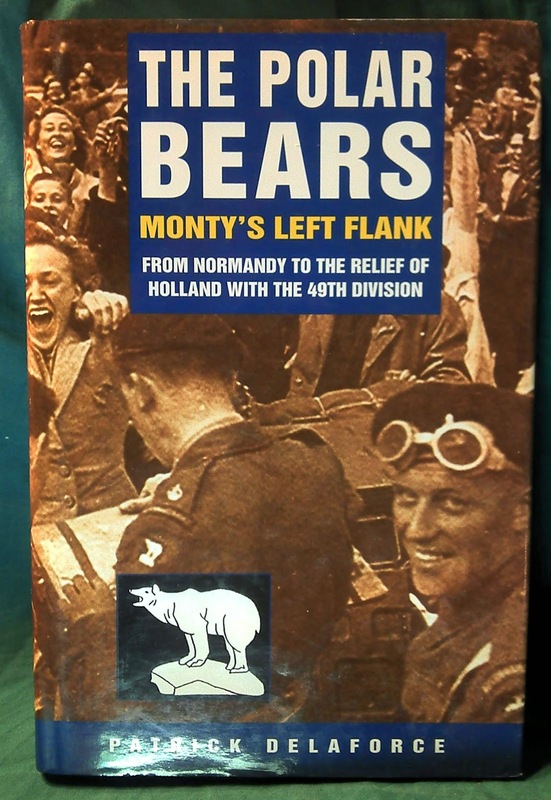 A fascinating memoir that simply needs to be shared. I hope somebody out there will enjoy it. So there are a dozen items, my gifts to you. Here are the rules (because I'm a gamer and there must be rules). 1) You must be a public follower of my blog (just click that nifty follower button on the right if you aren't a follower all ready). Sounds kind of like a cult but that's the rule. 2) Make a comment in this post (Like Santa Claus I will be cross checking followers to comments) and tell me what bits of loot you are interesting in (yes, you can just be in for all of them). This comment gets you one entry into the drawing for each item you are interested in. 4) There is a bonus for linking this post on your own blogs though. That will get two additional entries into each of the drawings you are interested in. Although you do have to tell me about it, especially if you are brand new, shiny follower. 5) The cut-off date is May 29th and I'll announce the winners a couple of days after that. Hopefully I'll be able to ship everything out during the first week of June or so.